If you’re wondering who to call for locksmith Riggs Park services when you have experienced a lockout, lost or broken your keys, King Locksmiths is ready to provide assistance. 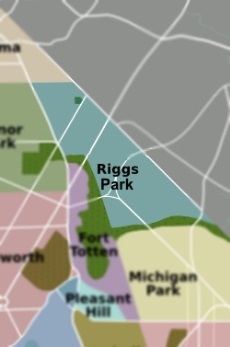 Our Riggs Park locksmith services are available for automotive, residential, and commercial properties. Our Washington DC locksmith technicians will perform a variety of lock work. We will install doors, repair locks and rekey locks. All of our work is supported by our experienced and professional team of technicians. This helps to build our customers’ trust when we can provide top-notch service as a reputable DC business. There are times when homeowners want to update their doors and locks. King Locksmiths can help with the installation process by offering security products that will last a long time. For example, keyless entry locks are one of the best products that can help reduce burglar intrusion. Customers can also choose keyless deadbolt locks for extra security. Customers can experience numerous automotive problems including lockouts. Nevertheless, King Locksmiths can solve this problem by sending an experienced locksmith technician to unlock the door. We have the best tools available in the industry to repair car locks and ignitions and replace lost keys. We provide these services for foreign and domestic automobiles including trucks, vans, RVs, and motorcycles. Securing Washington DC commercial properties can be a challenge but King Locksmiths can reduce the extra work by installing innovative security systems. Property managers can choose high security products such as panic hardware and access control systems. Surveillance cameras are also available to provide twenty-four hour monitoring. Riggs Park locksmith quotes can be obtained by calling our Washington DC office. Our customer service representatives are very friendly and will treat every request as important. We want our Locksmith Riggs Park customers to experience the best customer service in town and that’s why we offer affordable prices and have professional technicians on duty twenty-four hours a day. Locksmith Riggs Park DC Services with King Locksmiths https://kinglocksmiths.com/riggs-park/ 3.9/5 based upon 14 reviews.